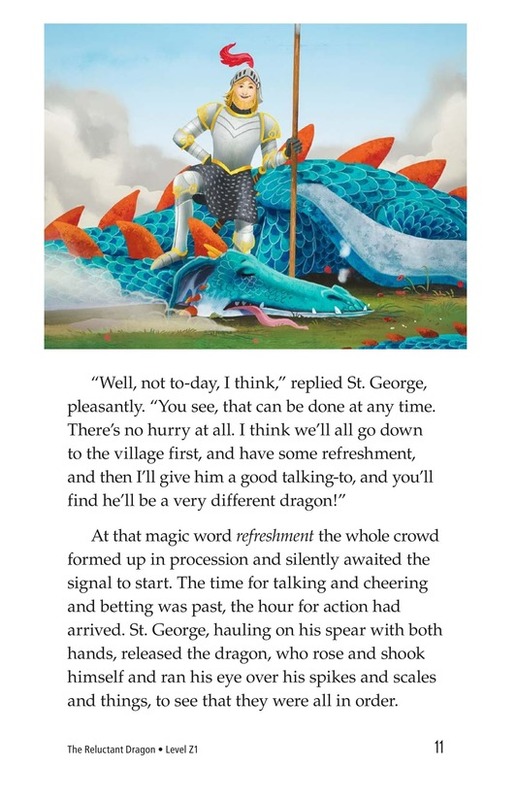 All of the villagers gather, excited for the fight between St. George and the Dragon. 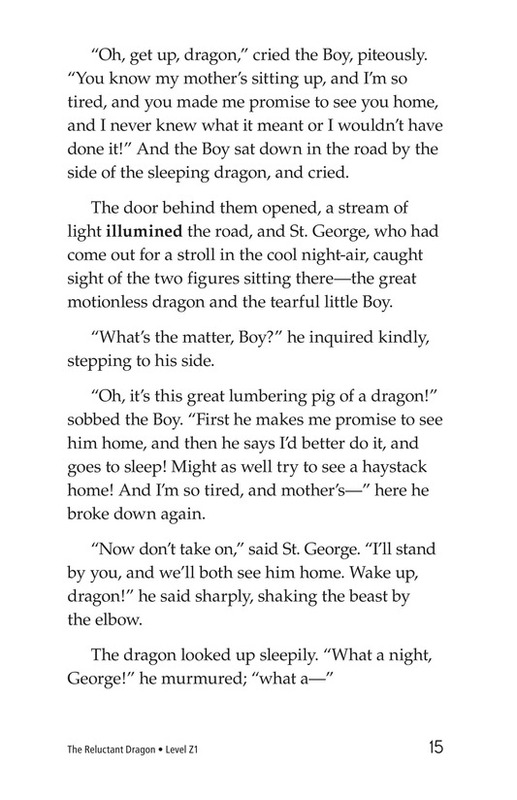 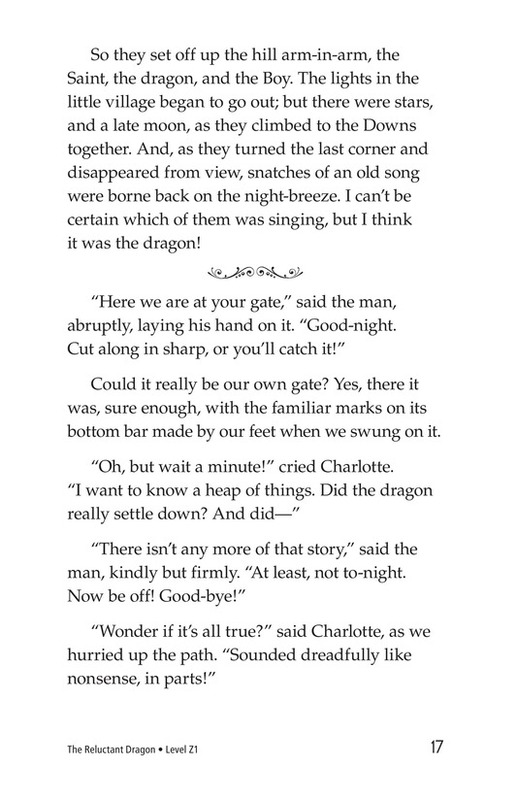 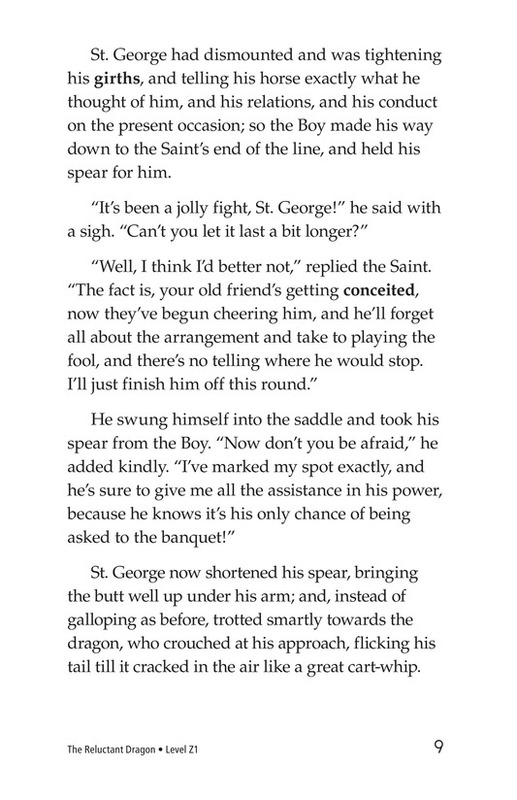 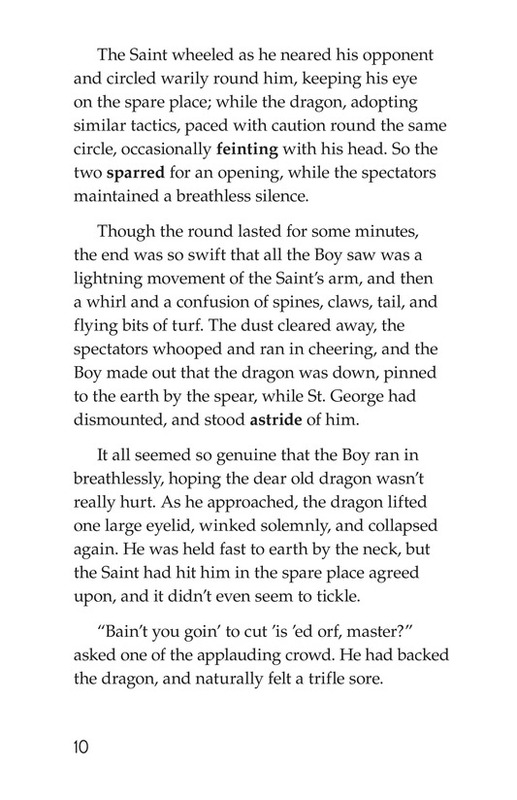 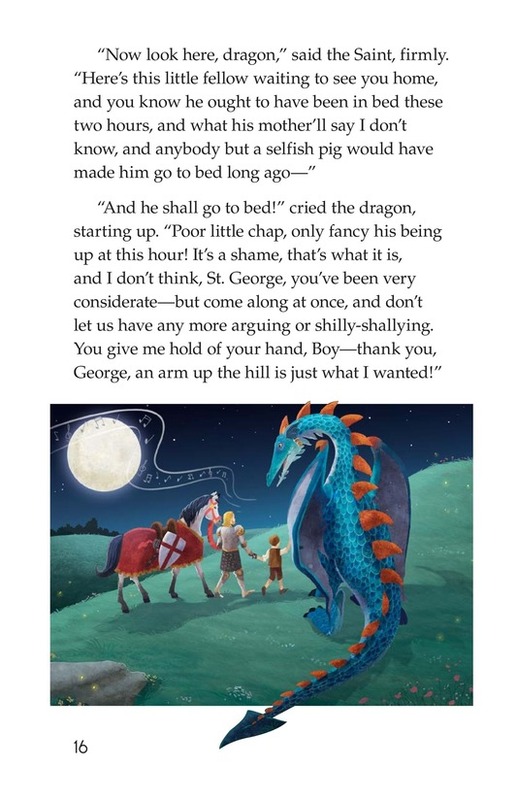 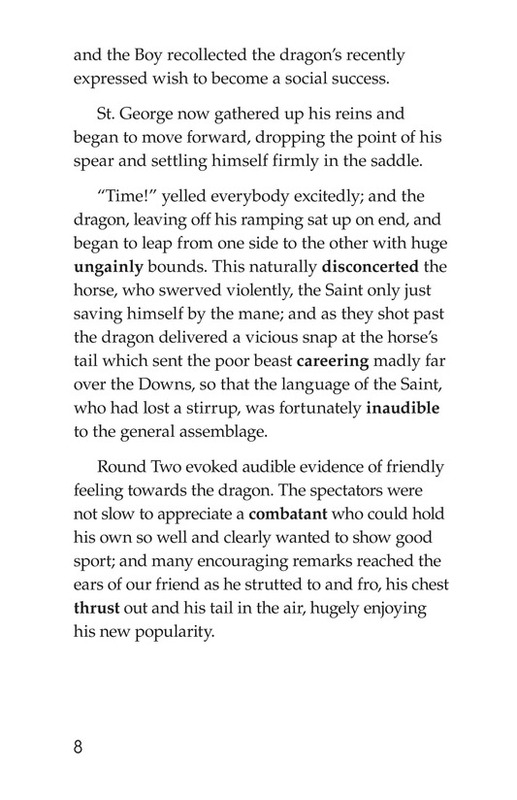 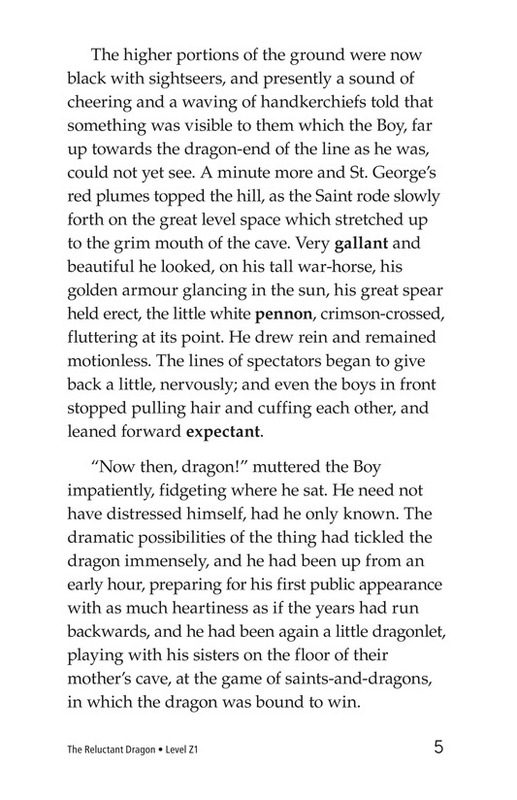 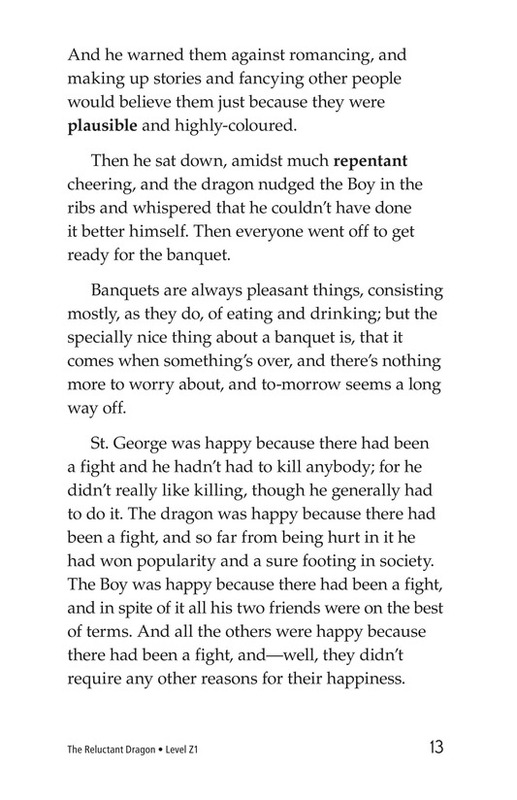 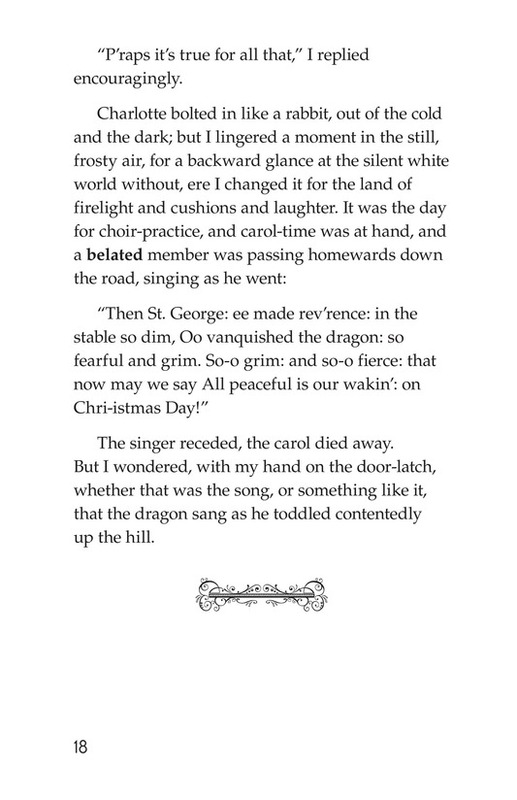 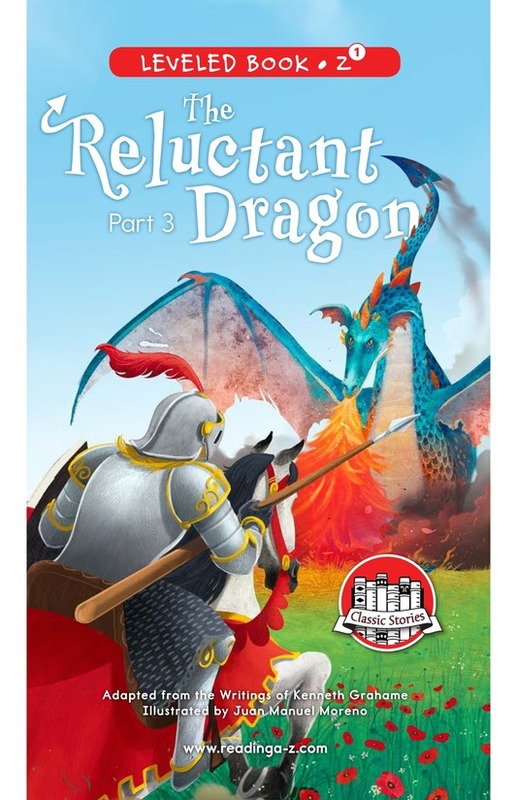 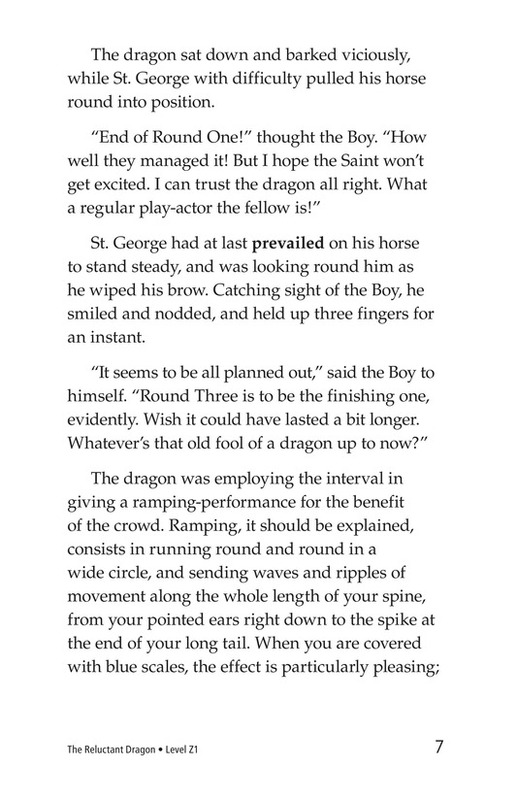 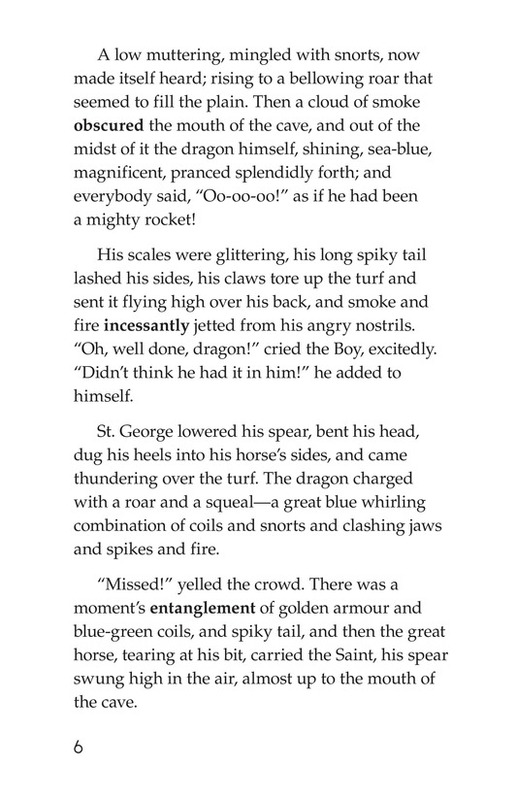 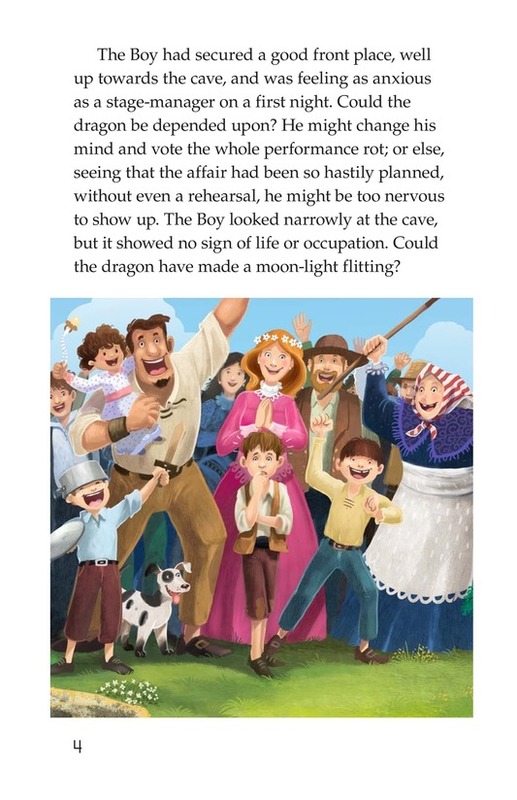 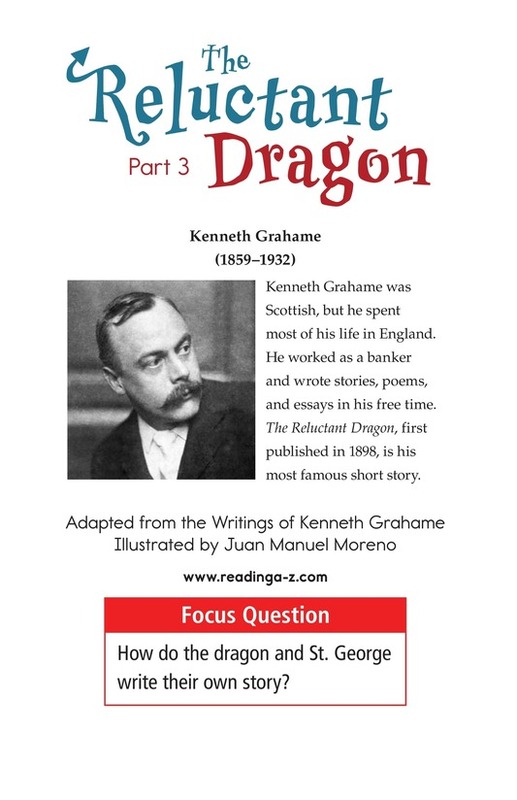 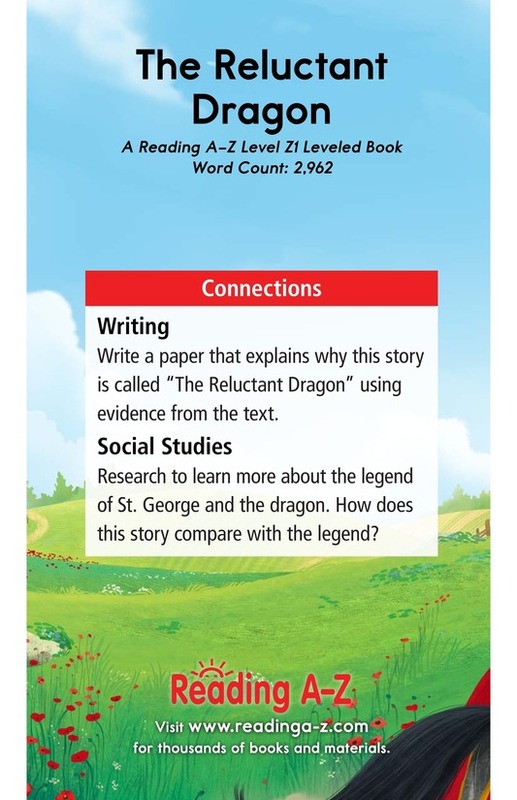 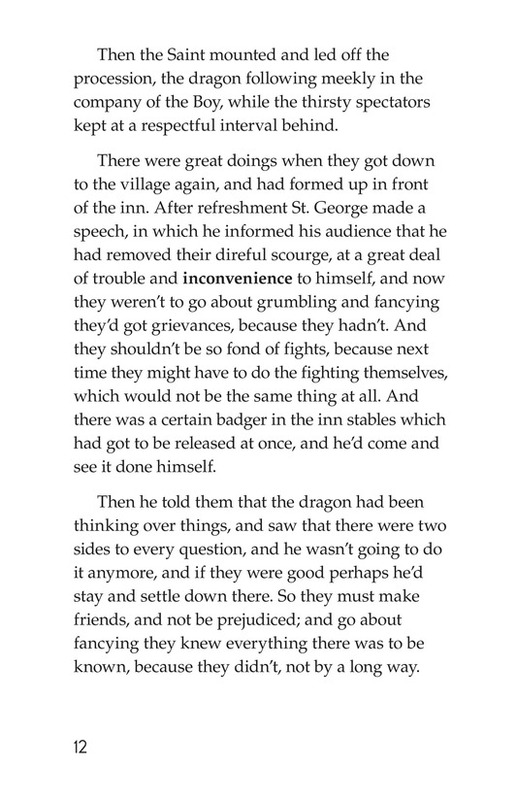 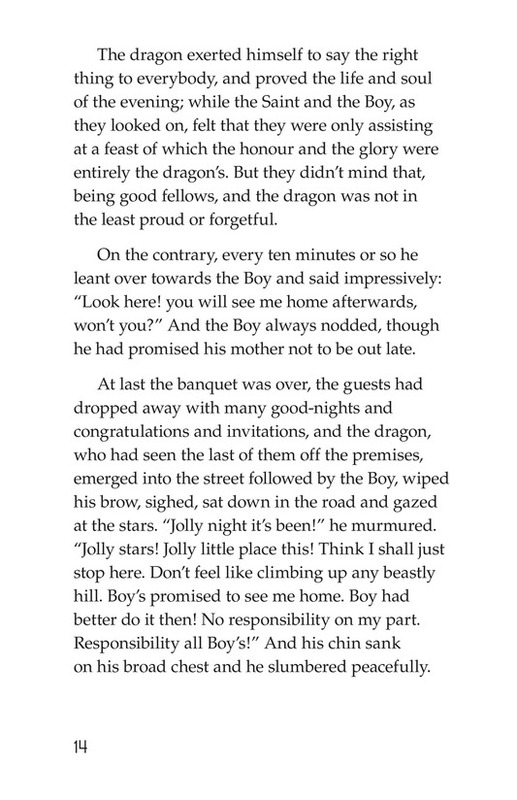 St. George and the Dragon put their plan into action while the young boy watches anxiously. 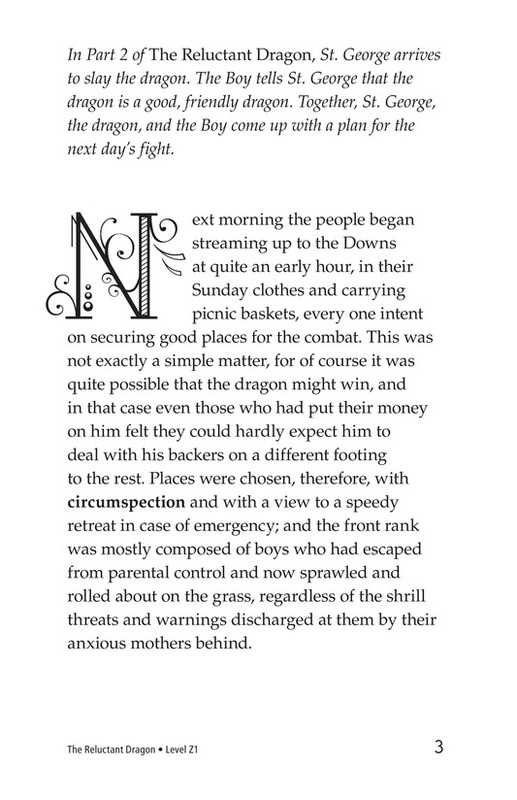 The plan works, and when the fight is over, all of the villagers cheerfully move on to their feast.